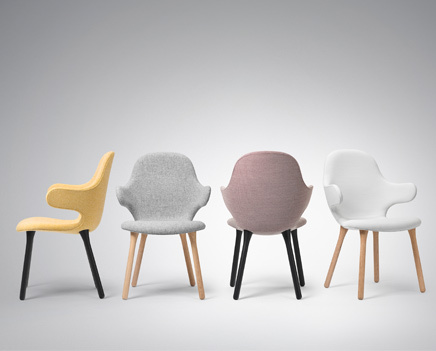 1）The catch chair shell consists of high quality foam with a fiberglass inside, and finally textile upholstery. White oiled solid legs. Upholstery in high quality cashmere, PU or leather for choice. 2）It's armrests extend from the shell like literal limbs, ready to embrace you as you sit down. In addition to being a witty personification,it is also an eye-catching piece of design. well-balanced base and legs that ensure maximum comfort. 3）With multiple textile upholstery options available, Catch can be adapted to almost any colour scheme.